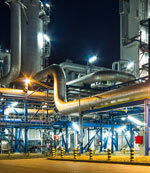 Improve your facility’s lubricant health with Oil Analysis. 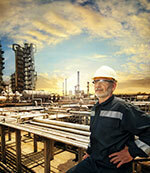 Oil analysis is a critical preventive action that helps Reliability Services keep you Up and Running. It’s one of the first steps we take in our customer relationships to determine the facility lubricant’s health‚ potential for contamination and possible machinery wear. We continue the oil analysis on a monthly basis to make certain that equipment remains in peak condition. 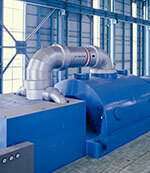 We also help to extend equipment life by recommending a change‚ when necessary. During the oil analysis process‚ we survey the machinery in use and the conditions under which it operates – plus the type of lubricants used. 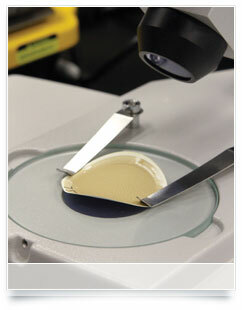 We draw samples which are quickly sent to a third-party lab for analysis. Test results – often available within 24 hours – indicate any “red” flags‚ such as out-of-range viscosities or ISO codes‚ contamination‚ metal wear or if the additive package used is performing to specification. We interpret test results and make recommendations to ensure that lubricant ranges meet the OEM specs for each piece of equipment. We look out for potential cross-contamination and prescribe methods to prevent it. We help you extend the life of your facility’s equipment by recommending even cleaner ISO code lubricants‚ verifying proper viscosities and operating temperatures and additive packages. These best practices help to maintain production while reducing downtime and stretching capital budgets. We also make certain that your facility has the proper sampling ports and make sure that your personnel draw samples properly as oil analysis continues. We help establish a schedule to perform oil analysis – monthly‚ quarterly or even farther out – that makes sense for every piece of equipment.